Medicare is the nation’s health insurance program for persons aged 65 and older and certain disabled persons. Medicare consists of four distinct parts: Part A (Hospital Insurance, or HI); Part B (Supplementary Medical Insurance, or SMI); Part C (Medicare Advantage, or MA); and Part D (the outpatient prescription drug benefit). Medicare covered over 58 million people in 2017 and has wide-ranging impact on the health-care sector and the overall U.S. economy. The Part A program is financed primarily through payroll taxes levied on current workers and their employers; these taxes are credited to the HI Trust Fund. From its inception, the HI Trust Fund has faced a projected shortfall. 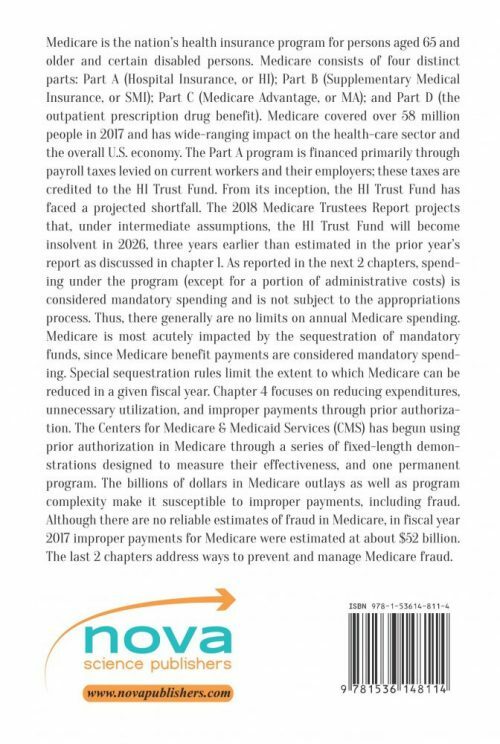 The 2018 Medicare Trustees Report projects that, under intermediate assumptions, the HI Trust Fund will become insolvent in 2026, three years earlier than estimated in the prior year’s report as discussed in chapter 1. As reported in the next 2 chapters, spending under the program (except for a portion of administrative costs) is considered mandatory spending and is not subject to the appropriations process. Thus, there generally are no limits on annual Medicare spending. Medicare is most acutely impacted by the sequestration of mandatory funds, since Medicare benefit payments are considered mandatory spending. Special sequestration rules limit the extent to which Medicare can be reduced in a given fiscal year. Chapter 4 focuses on reducing expenditures, unnecessary utilization, and improper payments through prior authorization. The Centers for Medicare & Medicaid Services (CMS) has begun using prior authorization in Medicare through a series of fixed-length demonstrations designed to measure their effectiveness, and one permanent program. The billions of dollars in Medicare outlays as well as program complexity make it susceptible to improper payments, including fraud. Although there are no reliable estimates of fraud in Medicare, in fiscal year 2017 improper payments for Medicare were estimated at about $52 billion. 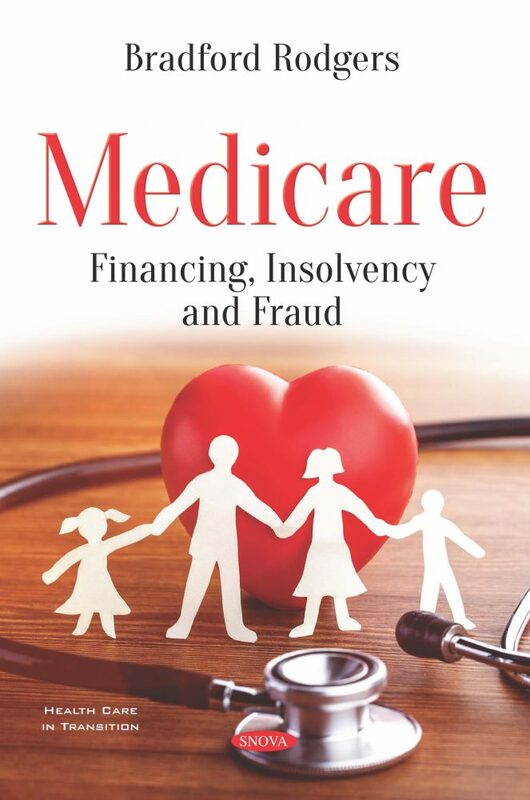 The last 2 chapters address ways to prevent and manage Medicare fraud.